On December 14th,1911 man stood at the Geographic South Pole for the first time, unveiling one of the last places of mystery on earth. 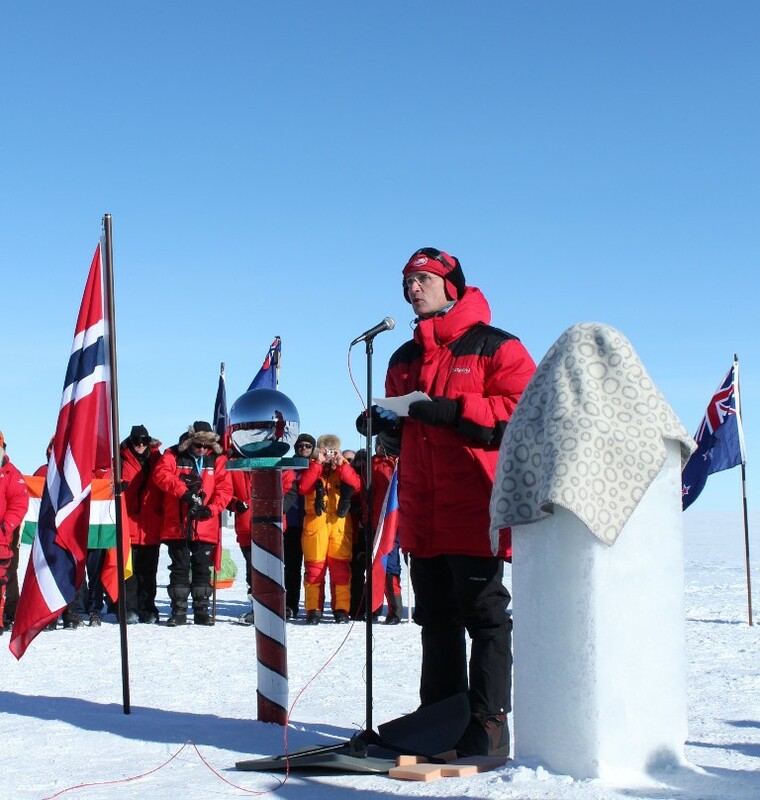 On December 14th, 2001 a ceremony was held at the Pole in commemoration of Roald Amundsen. In honor of the Centennial RPSC groomed a special camping area for the planes to park and the tents to be erected. 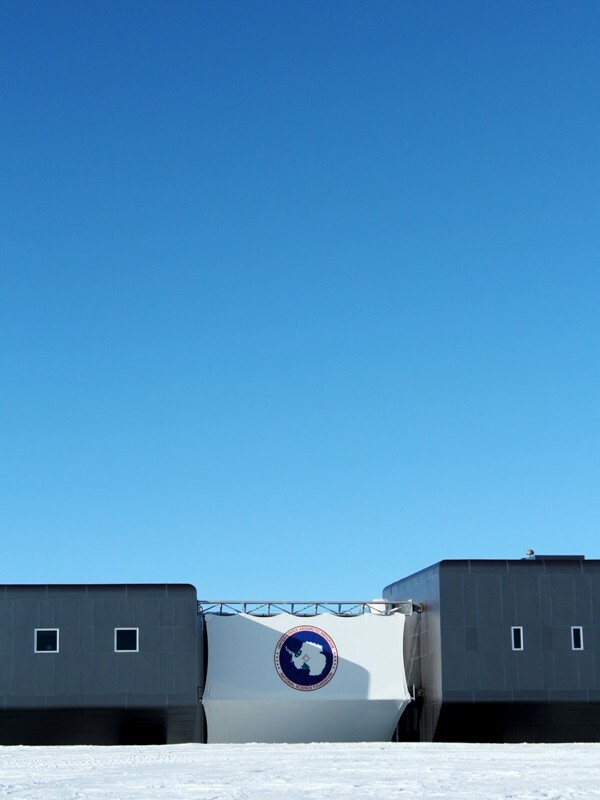 A visitor’s center was built to provide information about the US Antarctic Program and the science going on at the Pole. With several hundred tourists expected during these busy few months of summer it would be disruptive, and often unsafe, to have tours of the work centers and research sites for each tourist group to arrive. 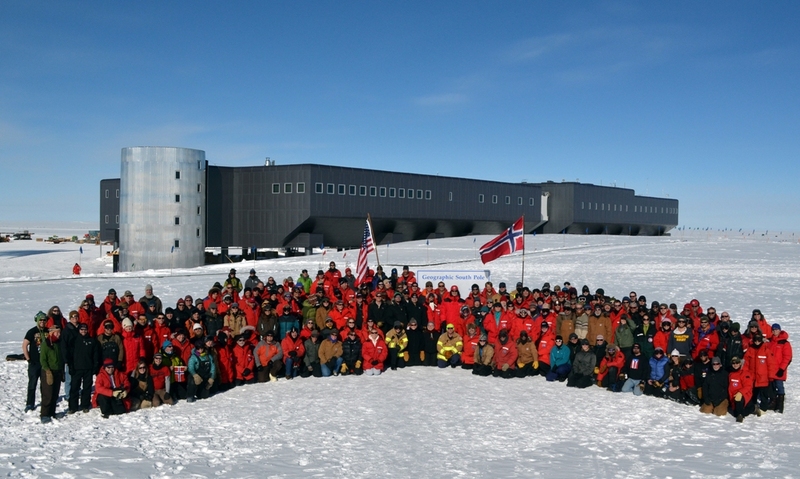 The United States Antarctic Program welcomes you to Amundsen-Scott South Pole Station. 90˚00’ South. Established 1957. People arrived from all corners of the globe. Some were flown straight to the Pole, others were dropped off by Twin Otter and skied the last degree, a few skied all the way from the coast! A Kazakhstani expedition arrived in specializedToyotatrucks (with tires inflated to 4psi). 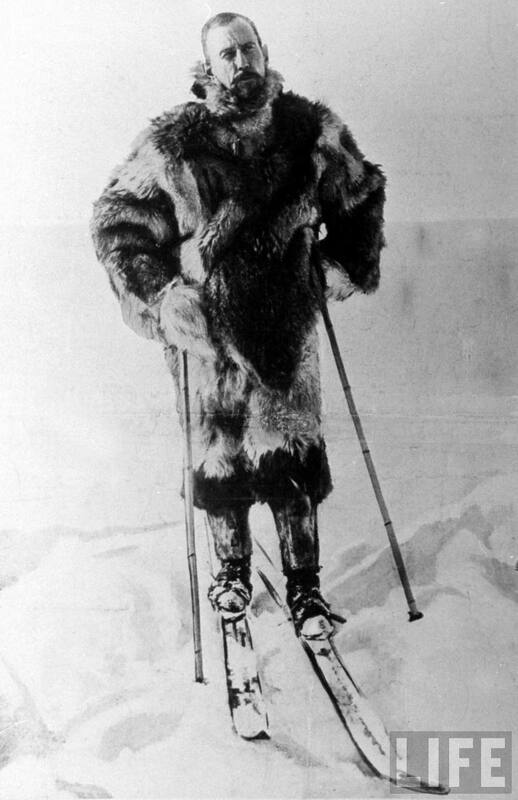 One man arrived in traditional fur clothing similar to what Amundsen’s team wore. The Norwegian press groups who were here with the Prime Minister interviewed some of the tourists and the Prime Minister himself skied a bit around the Pole. The week of December 14th 2011, for me, was fairly typical, flights to load/unload, pallets to build, and cargo to deliver. I’m back on days now so work from 7:30am-5:30pm Monday through Saturday. 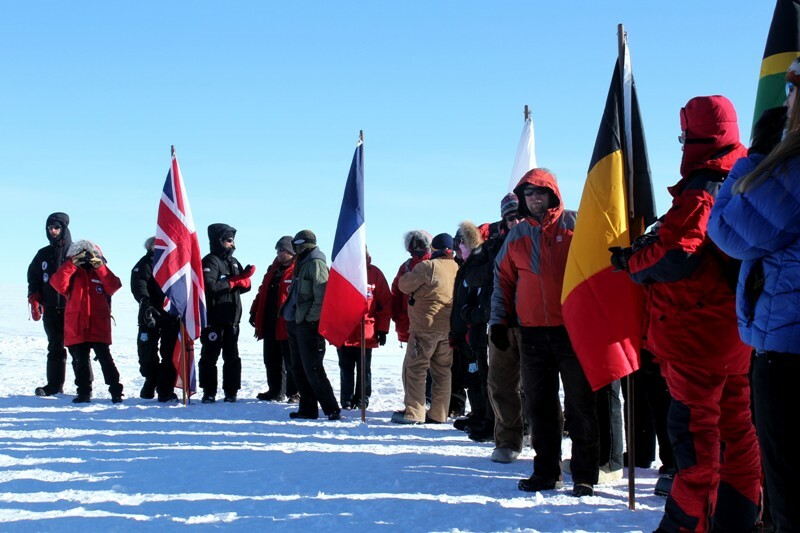 On the 14th however, everyone was invited to an all-hands ceremony at the Ceremonial Pole. We gathered together in a semi-circle around the Pole; an eclectic mix of the 233 people here with USAP and the more diverse 93 person group of tourists/visitors. 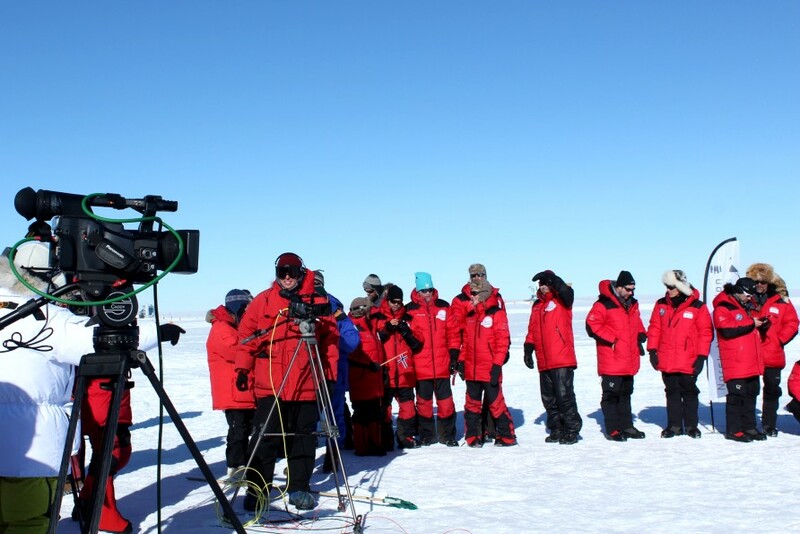 A microphone and speakers were set up and cameras placed on tripods. The snow squeaked and crunched as people gathered and found their places. I arrived early and knelt in front near the camera men. Foreigners held up their national flags, and there were lots of pictures taken. The ceremony was filmed and sent back toNorwayduring the satellite pass just following event. 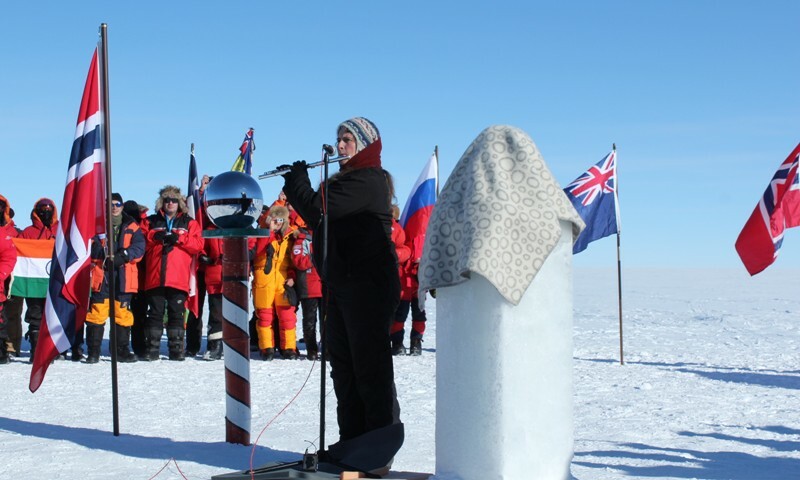 The ceremony commenced with fellow Cargo Load Planner Zondra Skertich playing the Norwegian national anthem on the flute. 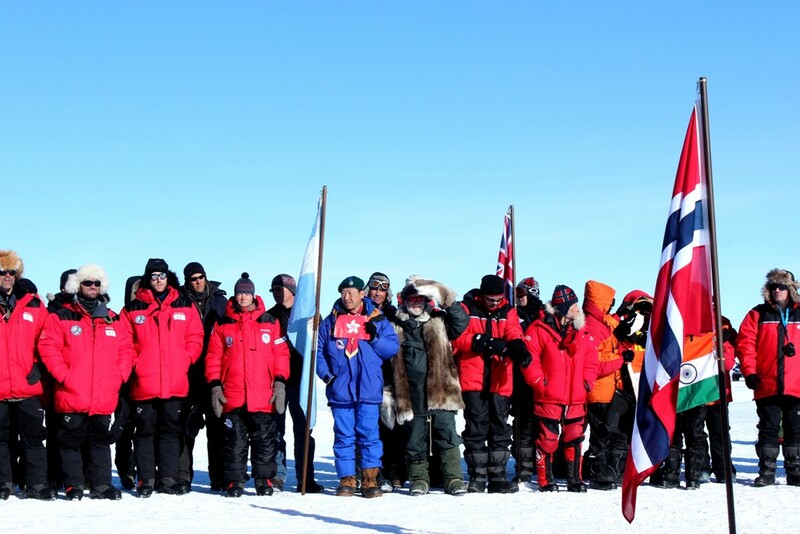 The Prime Minister then spoke, commemorating Amundsen, honoring the ultimate price paid by Scott and his men, congratulating the success of the international peaceful Antarctic Treaty and gently urging the world to face the facts of a changing climate – to note that this seemingly untouchable and pristine place is indeed changing. 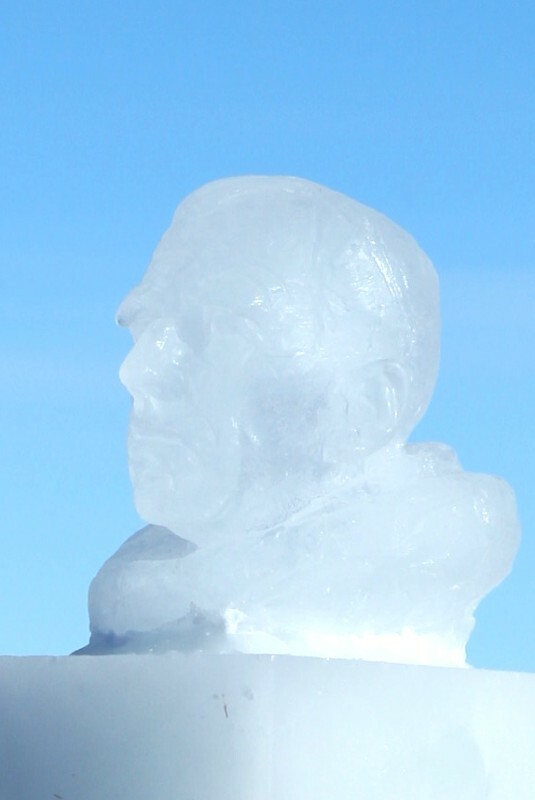 Giving final thanks to the United States Antarctic Program, the National Science Foundation, and the people who work here every day he unveiled a beautiful ice bust of Amundsen – taken from the same mold used to create a full body statue of the famous explorer unveiled simultaneously in Norway by the King. Simon Stephenson, the NSF rep here for the event, spoke next touching on the science happening here at Pole from the kilometer square ICECUBE project, to long term seismological stations, and NOAA’s sampling of the purest air on earth. 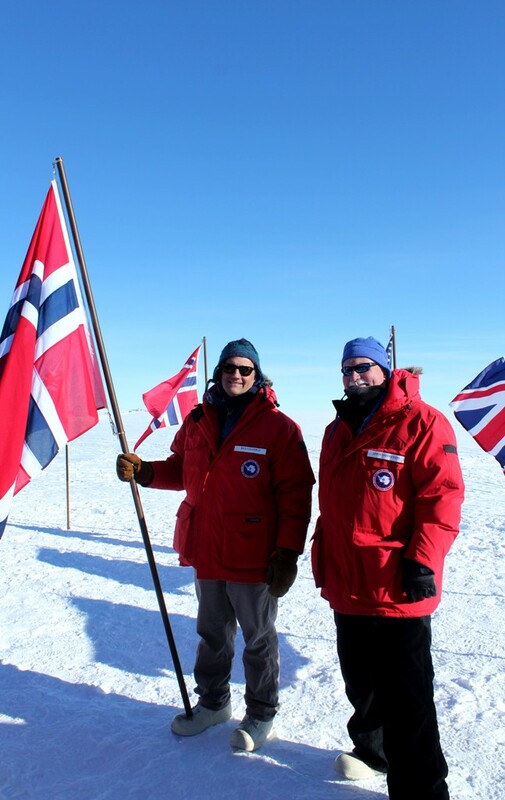 South Pole Area Director Bill Coughran and the director of the Norwegian Polar Institute said a few words as well, and then the Prime Minister presented Bill with a Norwegian flag and that was it – keeping true to Amundsen’s sentiments on a ceremony in the same place one hundred years before: One gets out of the way of protracted ceremonies in those regions — the shorter they are the better. It was just over half an hour all together and I stood up moving my cold and stiff knees and shaking the blood back into my hands. We all milled about for a while, chatting with the visitors and taking pictures of the bust and dignitaries, and then moved back to the galley to warm up and enjoy dinner. December 14, 1911. One Hundred years ago. Superconductivity was discovered, Bingham rediscovered Machu Pichu in Peru, the first public elevator was unveiled, and construction began in Boston for Fenway Park. Only three years before, in 1908, the Ford Model-T car made its debut. The year after, in 1912, the Titanic struck an iceberg and sank. It would be another three years yet, in 1914, that the First World War began. One hundred years ago today, Roald Amundsen of Norway (1872-1928) became the first man to reach the Geographic South Pole. 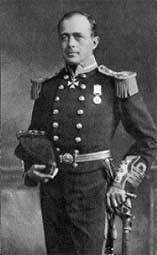 He and four companions left the coast, anchoring their ship the Fram in the Bay of Whales in the Ross Sea on October 20th and arriving at the South Pole on December 14th 1911. 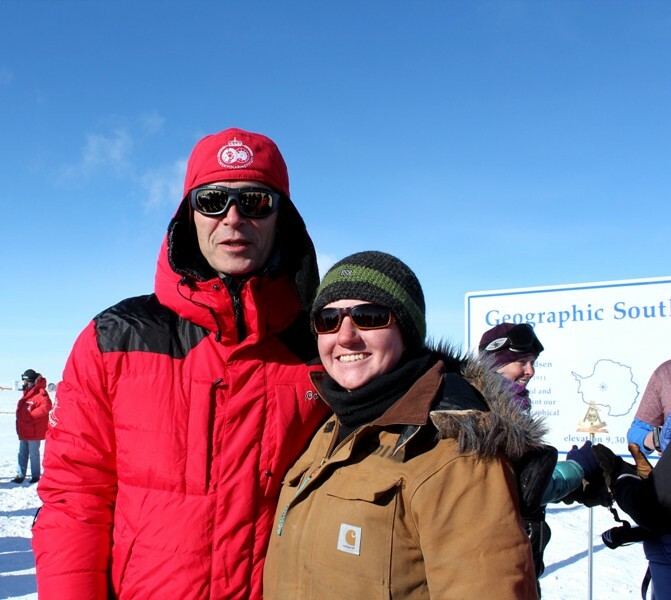 They stayed for three day to take, and re-take, sun measurements and verify their actual position at the Pole. It was a long and arduous journey – a race against England’s Robert F. Scott. Yet as much as it was a competition between contemporary polar explorers it was a competition between the established country of England and the young nation of Norway (which gained independence in 1905). Both were experienced and tenacious men, however the two differed significantly in their planning, preparation, and outlook. 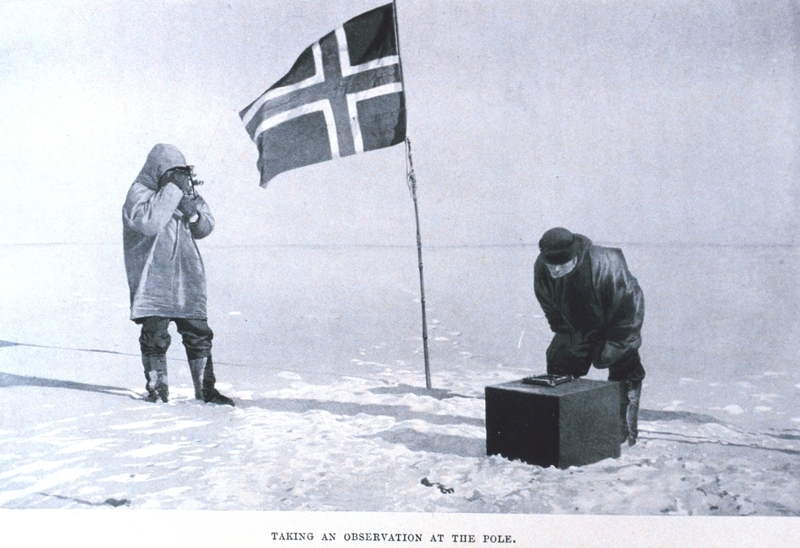 The goals of the two teams also differed in that Scott and his financial supporters saw the expedition as a platform for science as much as exploration, whereas Amundsen’s primary purpose was to reach the Pole as efficiently and quickly as possible. 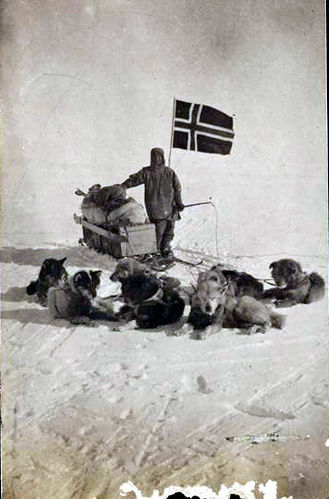 Learning from his experience in the North and with the Inuit populations Amundsen’s team brought dog teams and sleds, skiing much of the way. 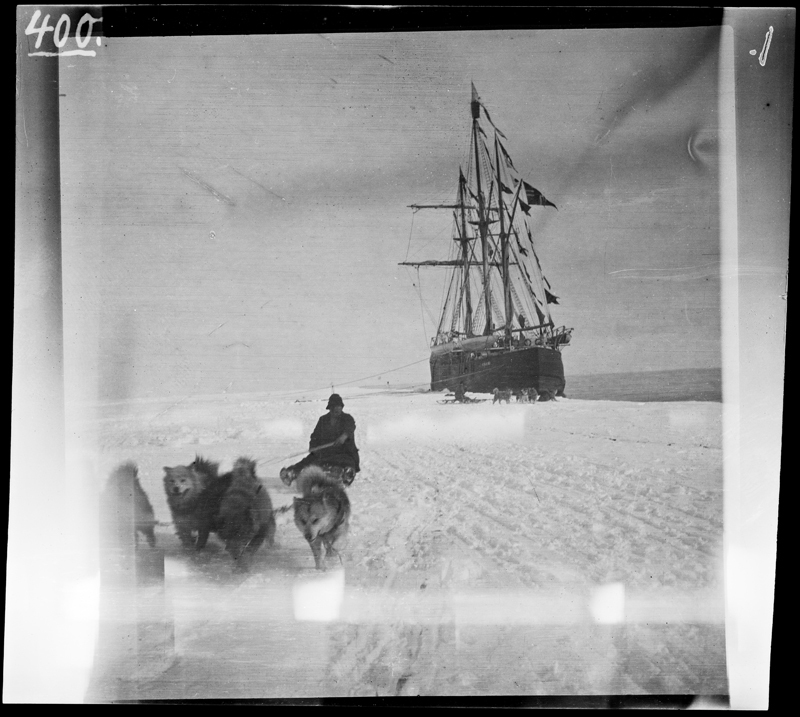 Amundsen had dreamed of being the first to reach the North Pole, but Frederick Cook and Robert Peary beat him to it, reaching the North Pole in 1908-9. He thus turned his passion for polar exploration to the South. Scott on the other hand, was motivated less by passion than by duty. He would have received notable promotion upon planting Britain’s flag at the Pole. He brought ponies, who unlike the dogs could not eat penguin and seal meat and whose fodder had to be brought all the way). They designed special snowshoes for the ponies, but these proved to be fragile. When the ponies succumbed to the harsh cold and exertion they resorted to man-hauling the heavy and cumbersome sledges by foot. 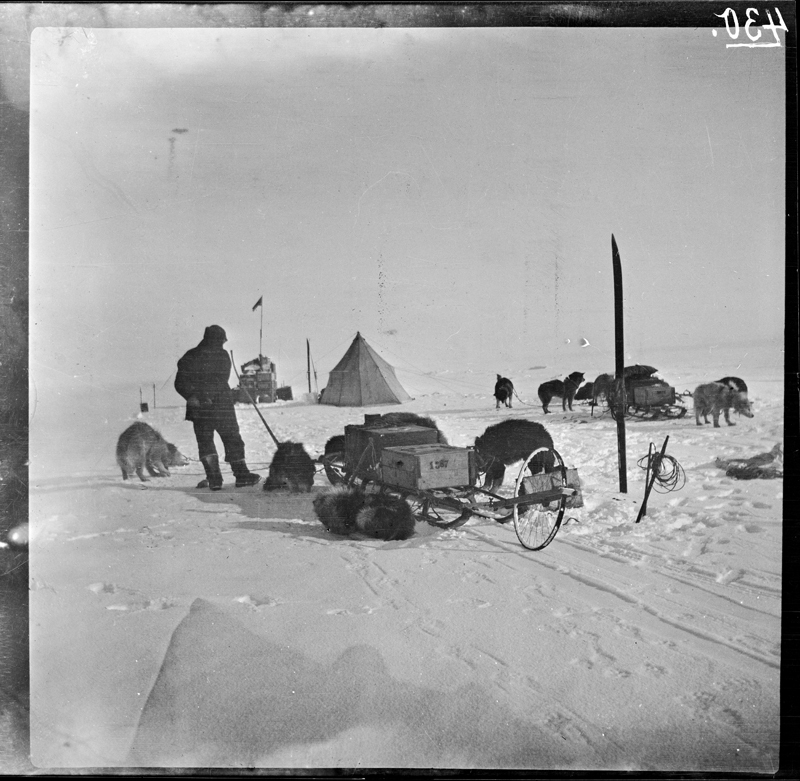 While Amundsen’s men had been skiing for many years Scott did not attempt to do so before starting the journey itself. It proved to be difficult and frustrating and in the end they walked. Another piece which I found particularly interesting with a sizable rock collection in storage myself: Scott and his men hauled over 30 lbs of rock samples from the mountains they passed early in the journey all the way to the pole. 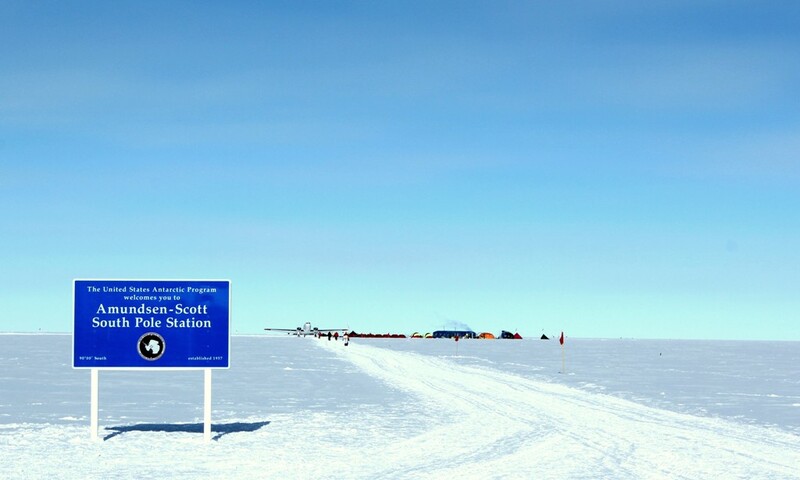 Perhaps surprisingly Scott did manage to make it to the South Pole, arriving on January 17th, 1912. 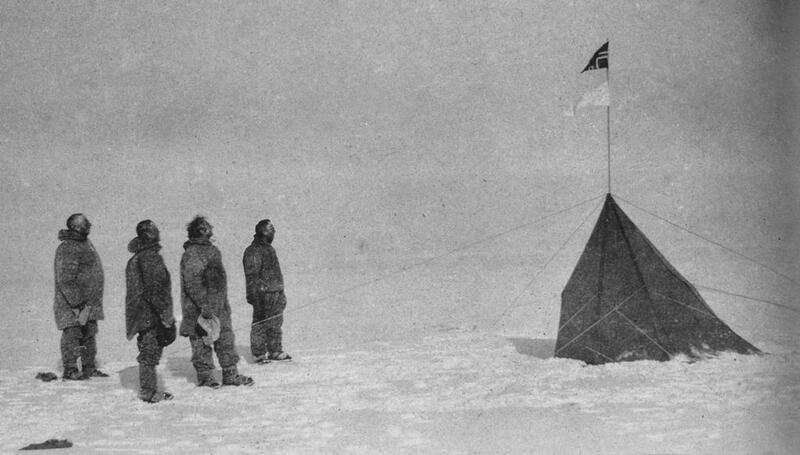 Heartbroken at finding Amundsen’s tent and Norwegian flag planted and left more than a month prior he turned around depressed and pessimistic. Tragically while Amundsen returned to his base camp, with no casualties, nearly 100 days after leaving, none of Scott’s expedition survived the return march from the Pole. “Brisbane, Queensland, April 13, 1912. I reached the coveted spot. 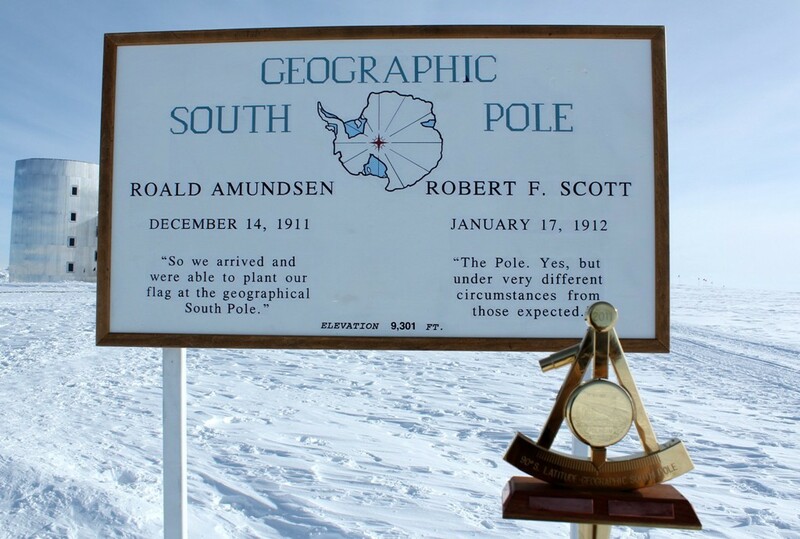 On November 29th, 1929 Admiral Byrd flew over the South Pole, but Scott’s arrival in January 1912, marked the last man stood at the Pole itself until 1957. 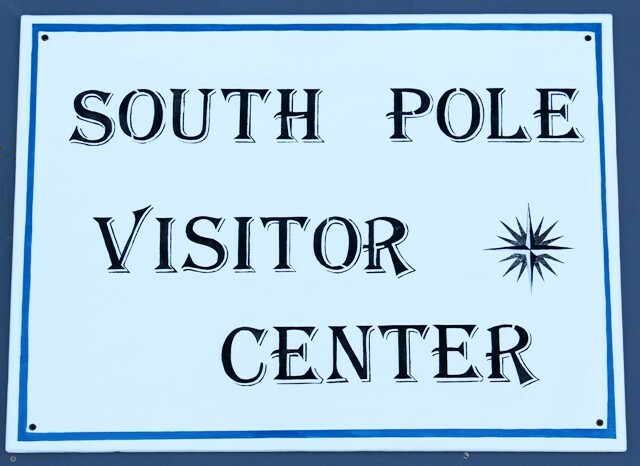 It was the International Polar Year (IPY) and the US Navy constructed the first South Pole Station. There has been a US station manned year-round ever since. 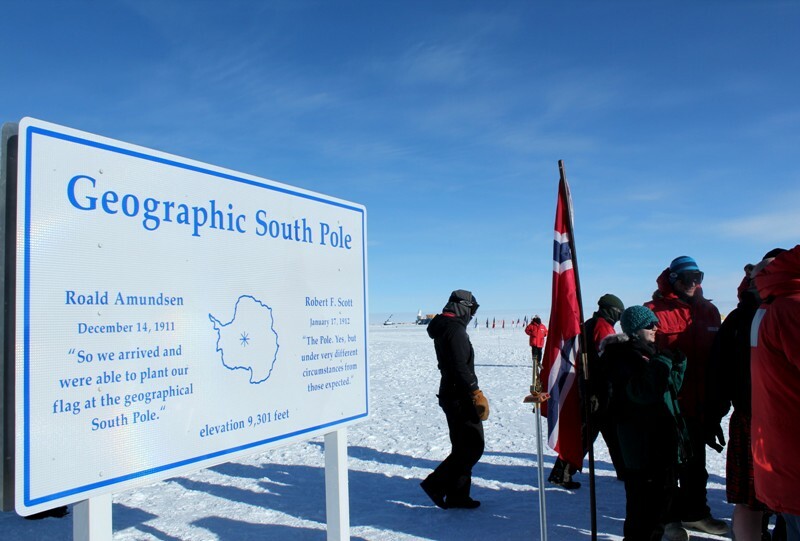 The first women did not make it to the Pole for another 12 years. 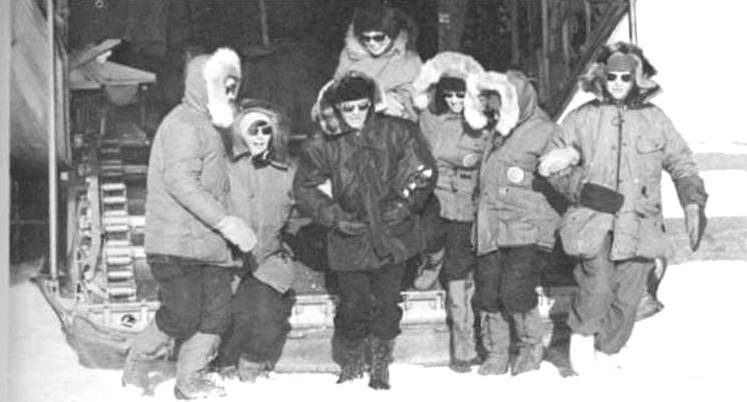 In November 1969 six women stepped off the back of a US Navy plane, so none could claim to be the first, these women were Pam Young, Jean Pearson, Lois Jones, Eileen McSaveney, Kay Lindsay, and Terry Tickhill. 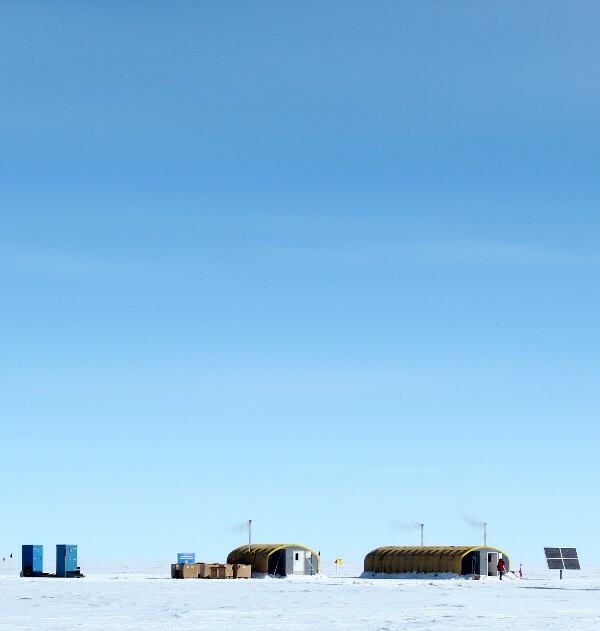 Today the new Elevated Station rises almost majestically above the wide flat polar plateau. It looks a bit futuristic, standing eerily out of place reminiscent of the obelisk in 2001 Space Odyssey. Shinning a dark grey-green with a sloping aerodynamic bottom it sits about 15-20 feet above the ice beneath on numerous columnar legs. Four wings or “pods” stretch back towards the cargo yard, summer camp, and the berms. The front of the station faces the Ceremonial Pole; the galley windows looking out over the white nothingness to the often indistinct flat line of the horizon. 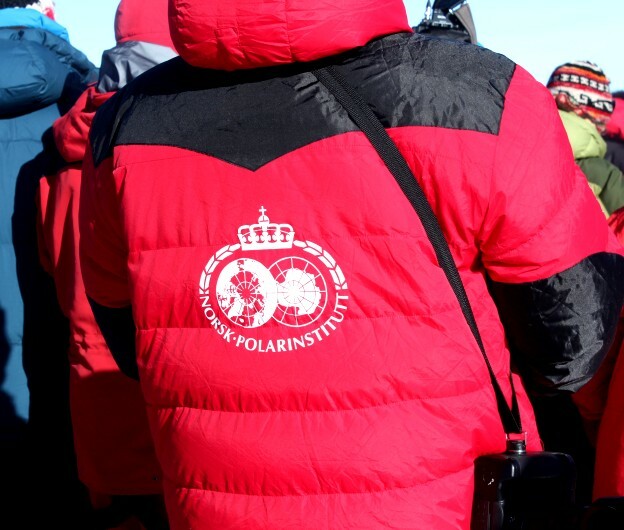 There are over 230 people here today: support staff, research groups, and DVs or Distinguished Visitors and over 90 tourists/visitors – a record for the largest number of people at the South Pole yet! Of note the Prime Minister of Norway is here for the centennial along with several camera crews and advisors. A small tent city of tourists has grown about 500m on the other side of the Pole, facing the station. Two larger tents have been erected as a visitor’s center in something of the middle ground. Tourists are not allowed into the station except in small guided groups, we are not to go marching into their tent area without express permission. Most are on Chile’s time. 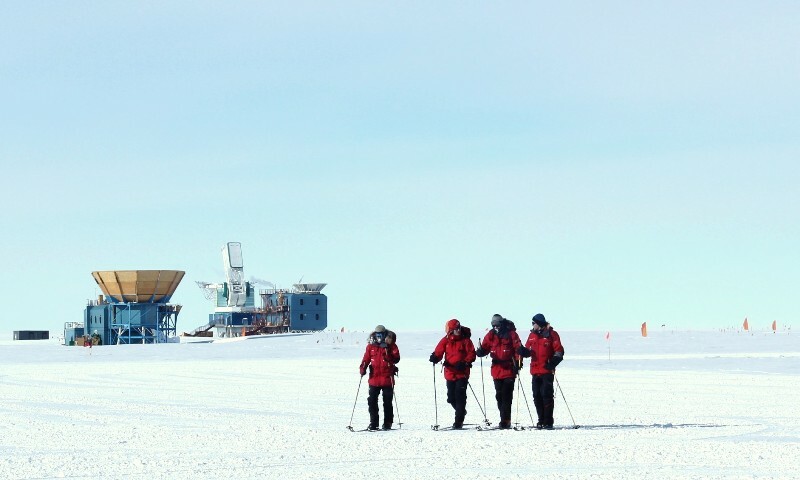 It’s a bit surreal sometimes to be having breakfast and watching men and women pose next to the Pole in their expensive and brightly colored expedition down suits. Some have skied in all the way from the coast, some flew in today, some are self-supported, but most are with tour companies. There are world renowned adventurers and mountaineers and people who just had enough cash to buy the ticket. And then there are us – here for several months in the name of science to maintain the U.S. presence at the axis of the Earth. It’s remarkable really, to think of all that has happened in the past 100 years; from World War 1, to putting men on the Moon, to the development of the internet and cell phones. There are few places as untouched as this. If one were to walk away from the station, off the groomed and pushed or drifted snow, past the bamboo poles and little nylon colored flags, past the buildings and berms and antennas, past the snowmobiles/machines and heavy equipment, past the exhaust of the power plant and furnaces…if one were to pass beyond these signs of habitation the view is exactly the same as Amundsen and Scott and their men witnessed a century ago. Beyond our bubble, our island of influence here, we are surrounded by literally hundred of miles of snow and ice, the emptiness that is the Great Flat White. “The weather during the forenoon had been just as fine as before; in the afternoon we had some snow-showers from the south-east. It was like the eve of some great festival that night in the tent. One could feel that a great event was at hand. Our flag was taken out again and lashed to the same two ski-sticks as before. Then it was rolled up and laid aside, to be ready when the time came. I was awake several times during the night, and had the same feeling that I can remember as a little boy on the night before Christmas Eve — an intense expectation of what was going to happen. Otherwise I think we slept just as well that night as any other. been made for arriving at the Pole. I am not quite sure, but I believe we despatched our breakfast rather more quickly than usual and were out of the tent sooner, though I must admit that we always accomplished this with all reasonable haste. We went in the usual order — the forerunner, Hanssen, Wisting, Bjaaland, and the reserve forerunner. 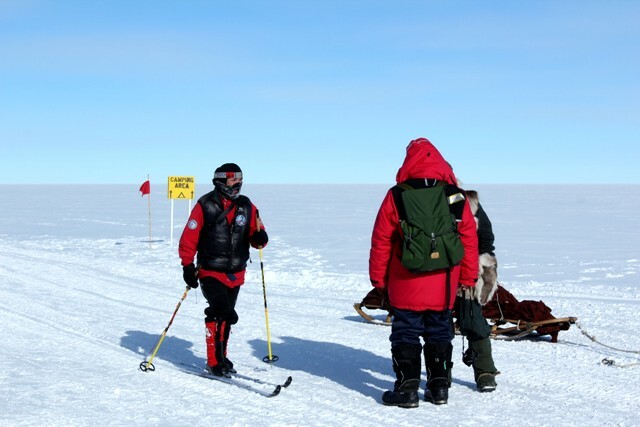 By noon we had reached 89º 53′ by dead reckoning, and made ready to take the rest in one stage. At 10 a.m. a light breeze had sprung up from the south-east, and it had clouded over, so that we got no noon altitude; but the clouds were not thick, and from time to time we had a glimpse of the sun through them. The going on that day was rather different from what it had been; sometimes the ski went over it well, but at others it was pretty bad. We advanced that day in the same mechanical way as before; not much was said, but eyes were used all the more. 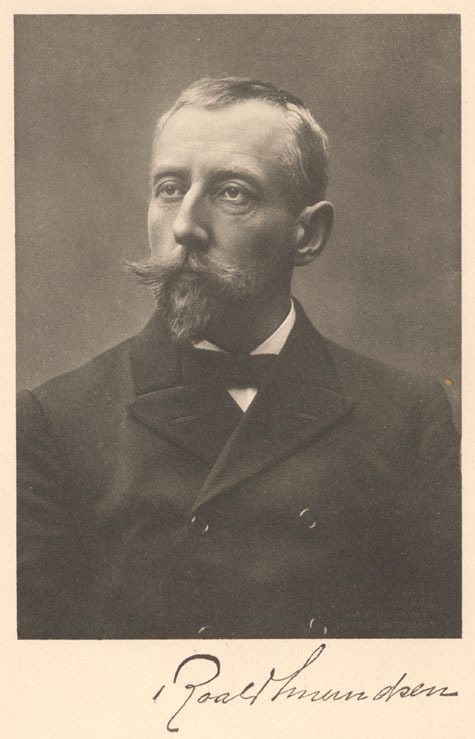 Hanssen’s neck grew twice as long as before in his endeavour to see a few inches farther. I had asked him before we started to spy out ahead for all he was worth, and he did so with a vengeance. But, however keenly he stared, he could not descry anything but the endless flat plain ahead of us. The dogs had dropped their scenting, and appeared to have lost their interest in the regions about the earth’s axis. That moment will certainly be remembered by all of us who stood there. One gets out of the way of protracted ceremonies in those regions — the shorter they are the better. Everyday life began again at once. 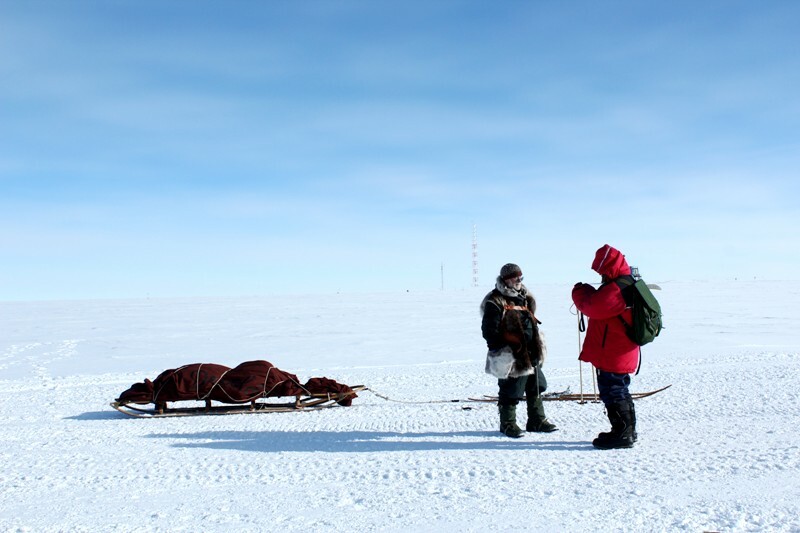 Bill Spindler has a great summary of Antarctic history at: http://southpolestation.com/trivia/igy/intro.html. More recent history can be found by following the link at the bottom back to the Timeline. Enter your email to receive notifications of updates!